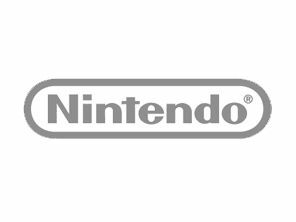 Nintendo is not planning to make a mobile phone, according to its American President. Speculation has been rife that the much-loved gaming company will foray into the smartphone market, particularly since its two main rivals, Microsoft and Sony, both have. Nintendo's American President, Reggie Fils-Aime, dispelled the rumours succinctly, saying: "We have no desire to get into telephony. "We believe that we will earn our way into someone's pocket without having to offer [phone capability] as an additional factor." Nintendo is already in a whole bunch of people's pockets after a hugely successful Nintendo 3DS launch; it sold out in Japan 24-hours after release and was pre-ordered by over 120,000 people in the UK before it went on sale on 25 March. The Nintendo 3DS comes with Wi-Fi connectivity, but falls short of offering 3G or voice signal, to the infuriation of anyone who wants to consolidate all their portables into one handy device, a la the Sony Ericsson Xperia Play. "It's not that I'm uninterested. However, I look at the business model, and I see so many additional costs that come into play." Fair play, Nintendo. We'd rather see you cranking out great games consoles than average phones.